New configurations support HTML5 video playback on desktops and mobile devices, Chromebooks® and Chrome without a plug-in! In conjunction with our new, higher performance content drives, it offers HMLT5 video playback of low, medium and high bit rate formats along with increased concurrent playback capacity—all without the need for a plug-in. Enhance your rich digital media to maximize its instructional value for different learners. 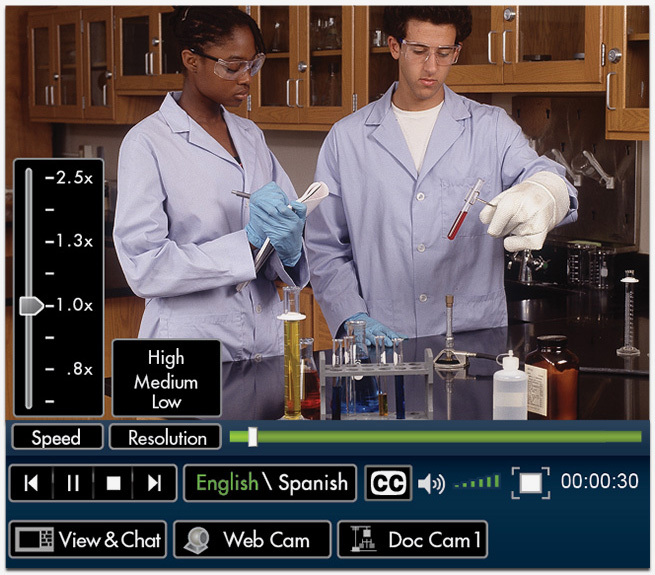 Developed specifically for K–12 educators, our media player maximizes the instructional benefits of multimedia by providing teachers with functionality not readily available in other players. Features include the smooth playback of playlists containing mixed media, consistency on all platforms and browsers, dynamic scrubbing through the video (making it easy to move to different areas of the video) and other features highlighted below. Administrators can set and manage default and maximum resolution by building, user type, location (home) or device type (mobile devices). Users can select from available resolutions. Speeds up video playback (helpful for previewing), and slows down video and audio playback (ideal for certain special needs students and ELLs). Turn closed-captioning on and off during playback. Dynamically switch from English to Spanish in mid-sentence for Schlessinger Media programs. 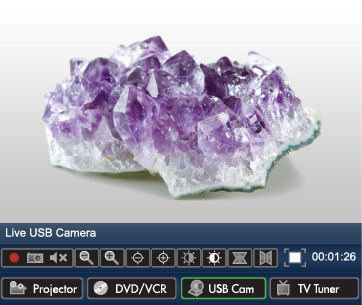 The SAFARI Montage® system now auto-detects virtually any built-in or USB camera attached to the teacher's workstation. Note: A SAFARI Montage Media Player plug-in is required for Web and Document Camera integration. Web Cam integration coming soon to HTML5 Player.